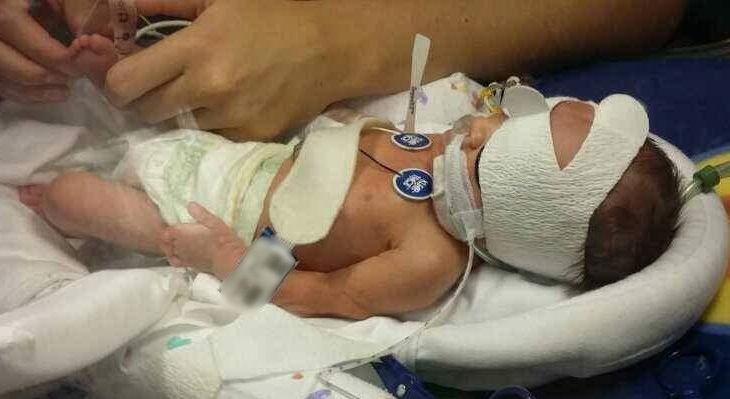 I was born at 30 6/7 weeks old in July, weighed 3lbs 5oz, and was air-evaced to the NICU. I have a club foot, amniotic banding on both legs and my left hand. It was discovered that I had 2 holes in his heart that required open heart surgery at 2.5 months old. Once recovered from that surgery, I had surgery on my legs to release the tension of the banding. 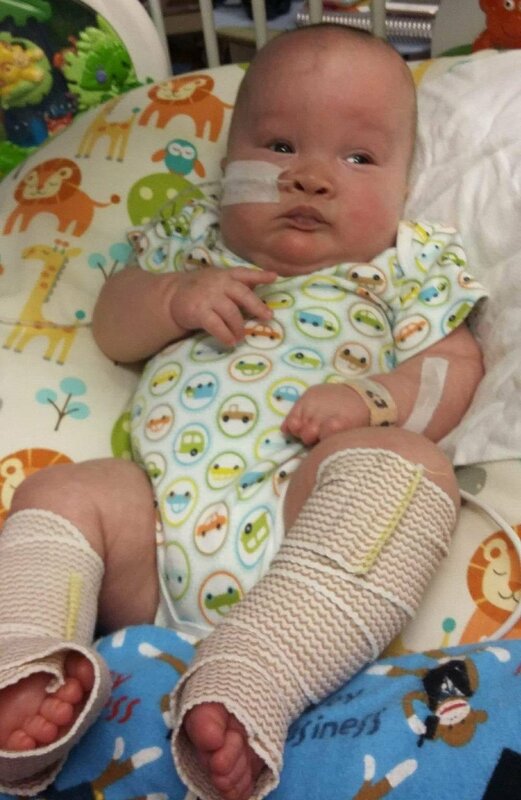 I was finally released from the hospital at 4.5 months old. I go to the doctor weekly and monthly to monitor progress and evaluate when I can have his next surgery. My sister and I were born 12 weeks early. Very sadly, my sister passed away 2 days after she was born, I miss her so much! I am here fighting and getting stronger every day. I hope to be able to go home by February to be with my family. We live far away from the the hospital so we are not able to all be together very much right now. My older brother is also very sick and being evaluated at the same hospital I am in. I am really hoping 2017 brings good health to our family. I was born at 34 weeks gestation and weighed only 4 lbs. My mommy had already been told that the front of my brain had not developed properly, and I also developed seizures and have had to have two surgeries. I have been in and out of the hospital since birth. I have a g-tube for feedings and now weigh closer to 15 lbs. I am happy to be home with my mom and brothers for the holidays. I was born at 25 weeks gestation in September. I was not able to breath on my own so was transferred by helicopter to the NICU. I had a tube in my throat because of breathing issues but my lungs didn't get better. I was diagnosed with sever Chronic Lung Disease and placed on the oscillator. 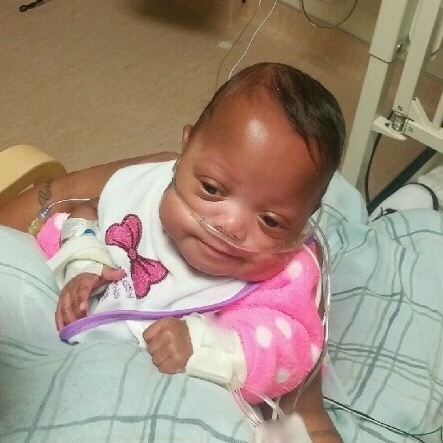 My doctors began to see progress and the breathing tube was taken out after about two months. I'm now on bubble Cpap with the prongs in my nose and I'm growing bigger and bigger everyday. When I was born I weighted 1 pound and 9 ounces. My mommy was not able to hold me until weeks after I was born. I now weight 4 pound and 10 ounces! I am very grateful for God but and all the doctors and nurses who've help me continue to develop outside of my mommies womb.